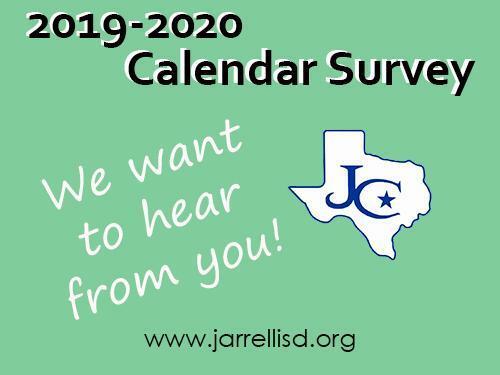 Jarrell ISD is developing its 2019-2020 calendar. We want to hear from you! 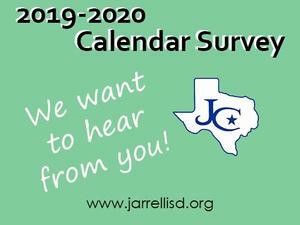 Please review the calendar drafts and take the survey to select your choice. The survey will close February 12.